In order to increase our knowledge, we have invited Nicole Helglason of ReefDivers.io to give a presentation to us and also to the Volunteers of Suara Pulau (the NGO that placed the Pyramids here on Bangka Island). 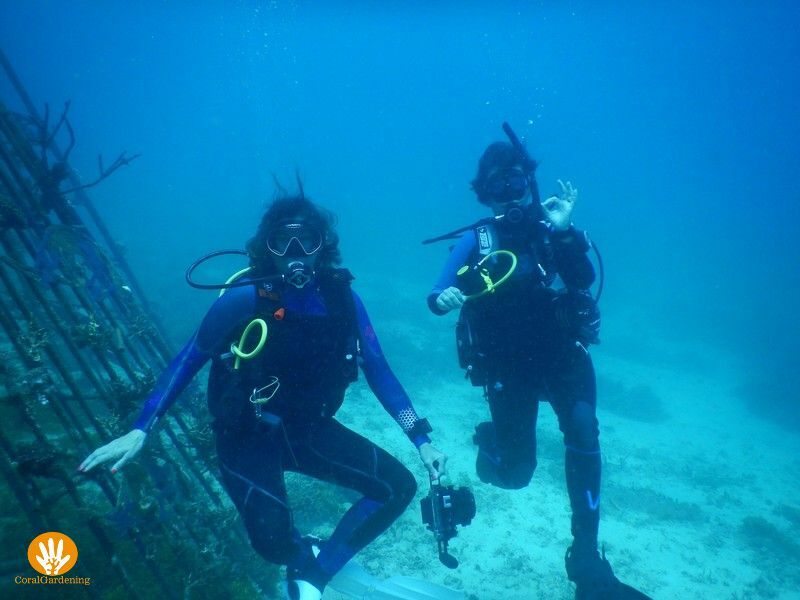 Nicole is a specialist in the field of coral identification, she assists various coral rehabilitation projects around the world, and she has developed a teaching method to impart this knowledge gracefully unto others. In the morning Nicole starts with her presentation “See The Reef with New Eyes” which is about how one can recognize the different species of coral. Coral is divided into different classes, called genus, and each genus can contain dozens or even a hundred different species. Each individual coral can have different forms and colors, which can make identification especially difficult. 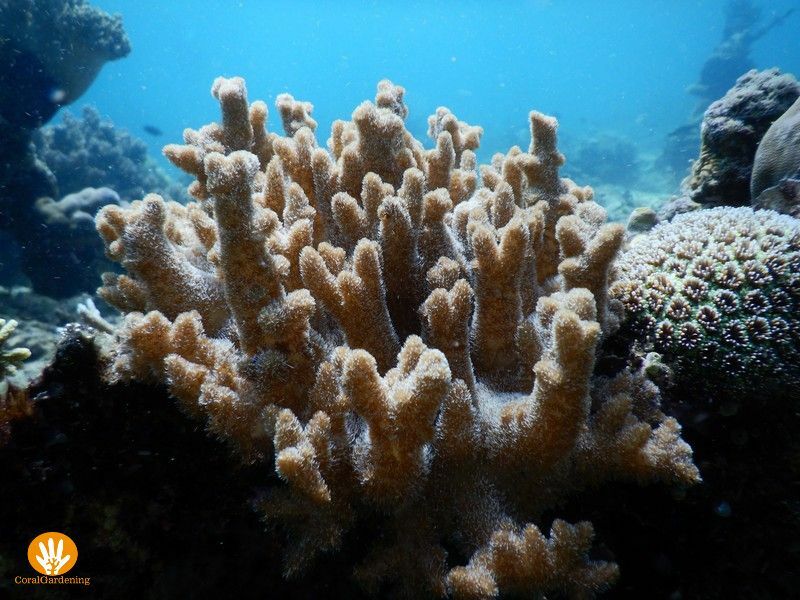 For example: one coral species can grow in a branching form (such as the branches of a tree), a tabular form (as a table), or encrusting (over an object), depending on conditions such as depth, temperature, and sunlight exposure. The presentation is a brief summary covering the basics of recognizing and identifying coral, the official course takes a number of days to complete. After the presentation we went diving on the pyramids and the surrounding area. Nicole is pleasantly surprised by the amount of healthy coral around the reef damaged by dynamite fishing. In the afternoon we dive at the rehabilitation and education project of Murex, another resort on the island. 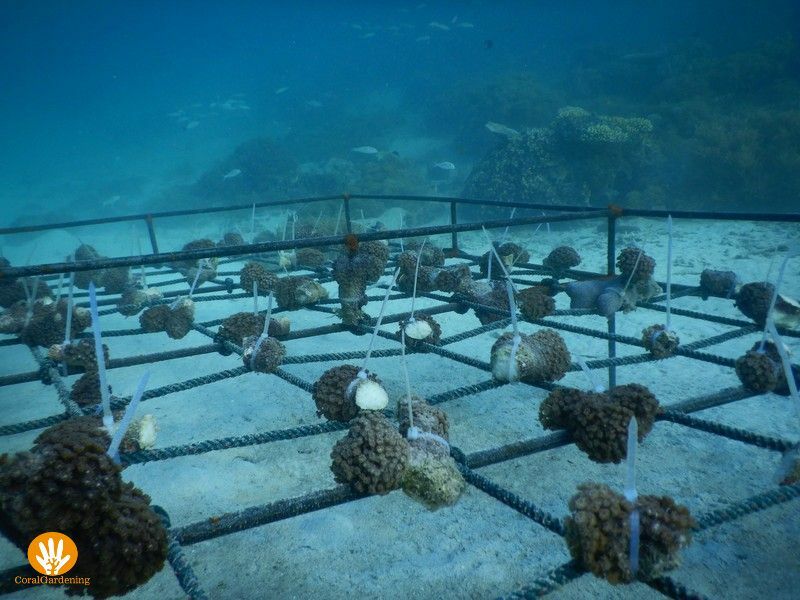 They specifically seek out coral species that are threatened, and when they find one they will split fragments off of the mother coral and place them onto a table in their nursery, once the corals are large enough they are placed back on the natural reef. Today I learned something new: mimic anemones are not coral, they are an anemone that can appear to be coral, in fact they are nearly indistinguishable from coral. During the night, however, it becomes apparent that the anemone is not coral, it looks rather different. Now here is a question: are you going for a night dive, or are you going to look at the stars instead? Nicole, thanks for the instructive day! Coral reefs needs our support! Join us building a healthy ocean. Sign up for the English CoralCommunity.